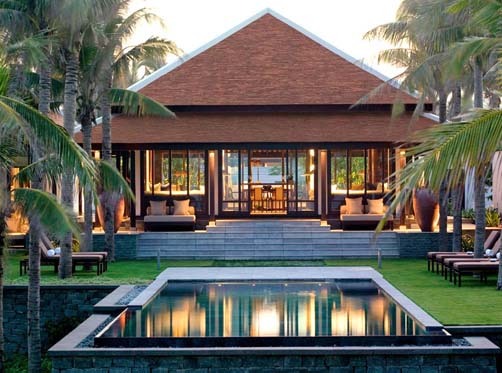 Below are a sampling of some of the finest luxury hotels and resorts in Vietnam to whet your appetite. Location, style, amenities, room types, and other factors vary dramtically between these properties. 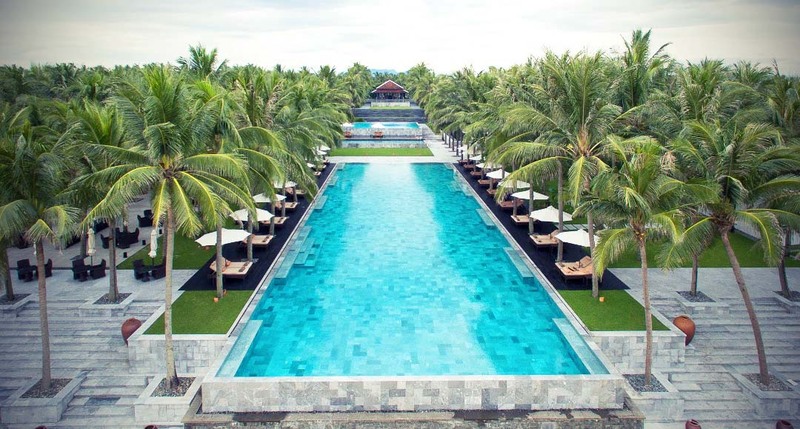 In addition, with varied weather, it also important is when to stay at some resorts as Vietnam's climate is far more specific than other parts of Asia, such as Thailand, and there are definite times of the year for enjoying beach resorts — contact us for details about these and other hotels. The Metropole, built and named in 1901 was for decades under the French, host to ambassadors, statesmen, writers and celebrities (with a few suites named after them, including Graham Greene and Charlie Chaplin). After the war it became the Reunification Hotel, but became a private hotel again in the 1990s under Sofitel when we became one of the very first tour companies to began sending travelers there. 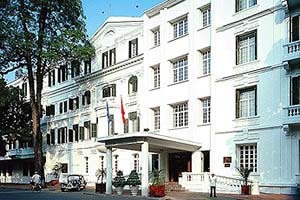 The premier hotel in all of Vietnam, if not Indochina, the Metropole is the place to stay Hanoi. With an ideal location only a block away from Hoan Kiem Lake in the heart of the city within walking distance of many sites, including the Old Quarter, and only three blocks from our Hanoi office on Tran Hưng Đao Street. Following extensive renovations in the early 1990s and late 2010, including a surprising uncovering of a forgotten war-era bomb shelter, visitors today can enjoy the charm of an impeccably restored turn-of-the-century hotel in the heart of the capital. All 363 rooms and suites, both in the original Metropole wing and the newer Opera wing, provide extensive international services and facilities befitting Vietnam's most famed hotel. 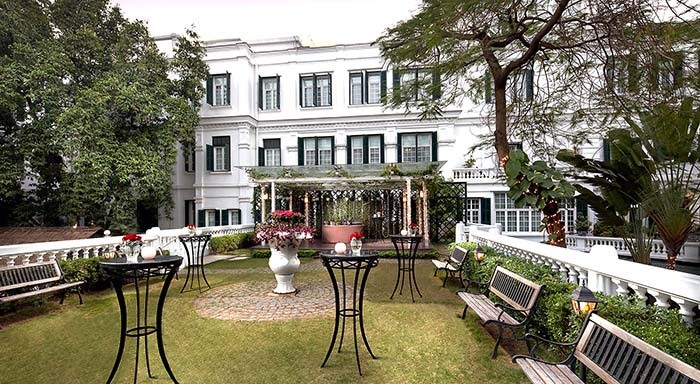 There are two wings in the Metropole—the Historical Metropole Wing is from another era, literally, but has been upgraded to modern, while retaining its dark woods and Colonial prints, while the newer Opera Wing dazzles with its art-nouveau style. Both wings have a lobby, although the Metropole wing is where guests will want to spend time, with comfy sofas and papers, two restaurants and a wine bar within sight. The Opera Wing Lobby underwent an upgrade in early 2008. 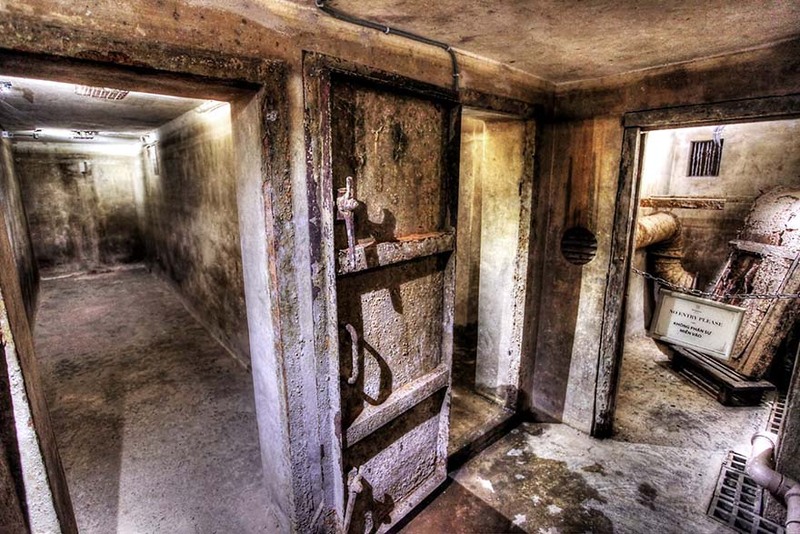 In 2012 a renovation construction crews rediscovered an air raid shelter in the back garden of the Metropole and has opened the excavated bunker for its guests to explore. 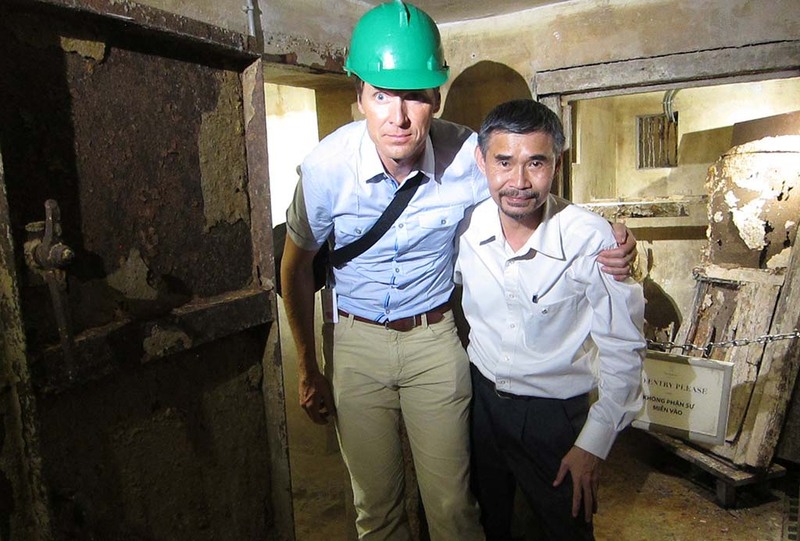 The 40-square-yard bomb shelter has been restored to its original state as a tribute to the hotel’s wartime employees, who ushered guests into the relative safety of the underground chamber from the mid-1960s through the Christmas Bombings of 1972. Legendary Suites, 70m2/753 sq. feet (4 persons, one living room and one bedroom) Three suites named for guests Charlie Chaplin, Somerset Maugham, and Graham Greene. Presidential Suite, 176m2/1,894 sq. feet. 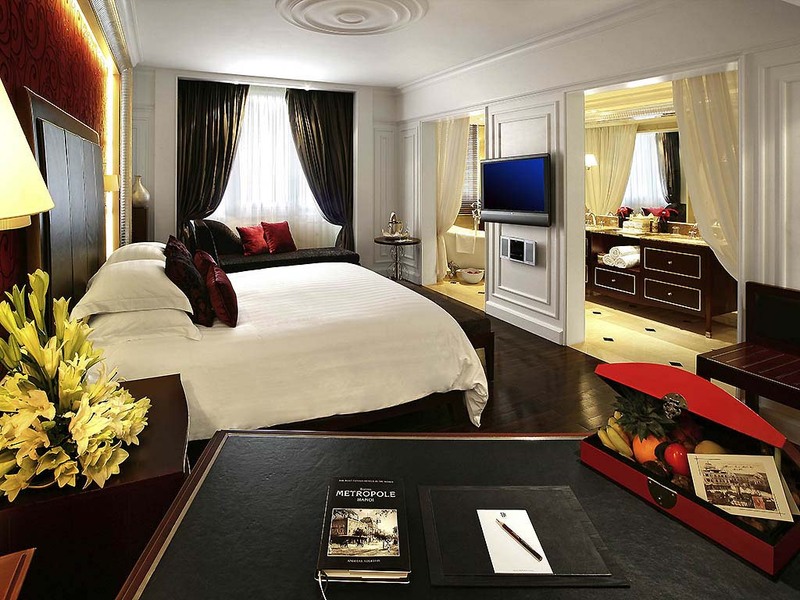 The Metropole allows up to a maximum of 3 people in each room (including suites). For families of 4, there are the Opera Suites with connecting access with an Opera twin, and Club Suite connecting with Club twin room. 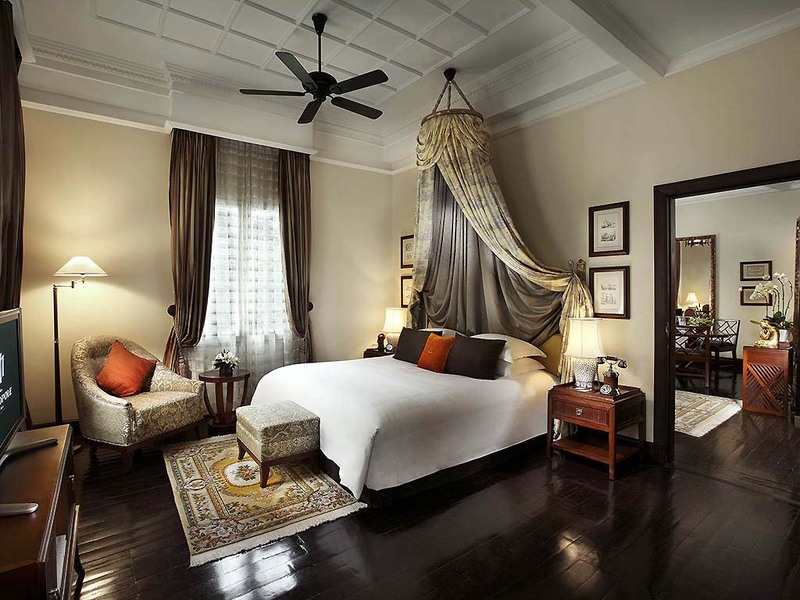 The classic or historic wing provides an old, colonial feel and matching decor including hardwood floors, faded pictures and four poster beds combining to evoke the grandeur of a bygone age. The Charlie Chaplin Suite here is the biggest and nicest of the hotel. The Opera Wing is more hip, with modern flair and Danish furniture design. The rooms here are noticeably brighter, airier and more contemporary than their cousins over in the Historic Wing. All 363 guest rooms and suites equipped with A/C (H/C), satellite TV, LCD, and DVD player, IDD phone, Security peephole, personal safety-box, mini-bar, radio/music system, RJ 11 outlet , voice mail, data port, coffee/tea making facilities, bathtub, specially with Sofitel's MyBed and broadband Internet. 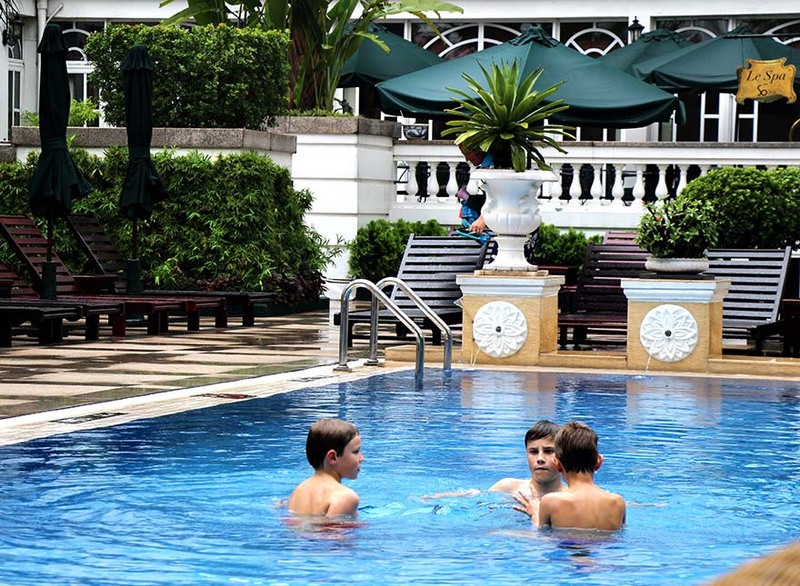 In a city lacking comfortable luxury hotels, the Metropole is an oasis, from its spacious club floor lounge (with iPads and other amenities), gym, fascintating bomb shelter (below), and refreshing pool, it is the top choice to begin a Vietnam trip with kids. Oh, and a highlight will be the daily, afternoon chocolate buffet. The elegant Spices Garden Restaurant offers fine Asian cuisine with a local flavor in a pleasant glass atrium, while Le Beaulieu, a long-time favorite venue for fine dining in the capital, serves up the best of French cuisine and fine wines. Le Beaulieu Restaurant is also the hotel's breakfast location (unless you are on the Club Floor). 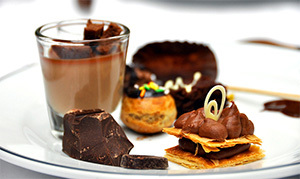 Le Club Bar is the perfect venue for drinks and its afternoon chocolate buffet has become a Hanoi tradition. The Met Pub is unrivaled as the city's most popular bar with live jazz, good snacks and a well-stocked bar. Le Club Bar. A light airy lounge bar with large windows overlooking the courtyard garden, Le Club Bar has always been the perfect venue for drinks with friends and colleagues and the afternoon tea at Le Club is not to be missed, complete with its absolutely decadent chocolate buffet. The Met Pub is the city's most popular bar with wonderful live music, great food and a large selection of beers, spirits and whiskies. The Bamboo Bar, by the central pool, offers snacks and lunch for those loathe to leave the pool, and also a cool place to enjoy an evening cocktail. 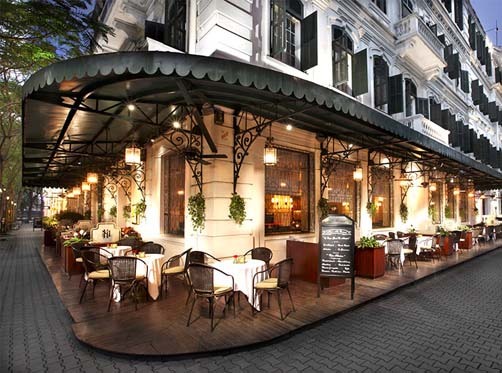 La Terrasse du Metropole successfully brings the ambiance and coffee of Parisian street cafes to Hanoi's streets. Uncovered completely by surpise during renovations the Metropole has turned the large shelter into a multimedia historical tour—not to be missed. 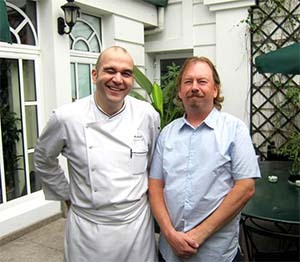 Los Angeles top chef Neal Fraser of Grace Restaurant fame has lead several Iron Chef tours with us in Vietnam, since the 1990s (at right with Metropole Executive Chef André Bosia. Our unprecedented culinary cycling adventure features pedaling through the scenic country roads along Vietnam's central and southern coast and into the central highlands while sampling Vietnam's diverse and distinctive cuisine in each region. There are few places that provide for a culinary adventure on par with Vietnam. This trip will highlight the distinctive cuisines of each region with a mix of activities, including hands-on cooking, kitchen and market visits. Many of the 122 rooms and suites offer fine views of the river looking over to the Royal Citadel. La Residence offer good Vietnamese cuisine in a city lacking for the most part, a spacious garden area with a massive saltwater pool overlooking Hue's ancient Citadel, plus spa, gym and tennis. The spa is one of the finest in the country with Thai masseuses. 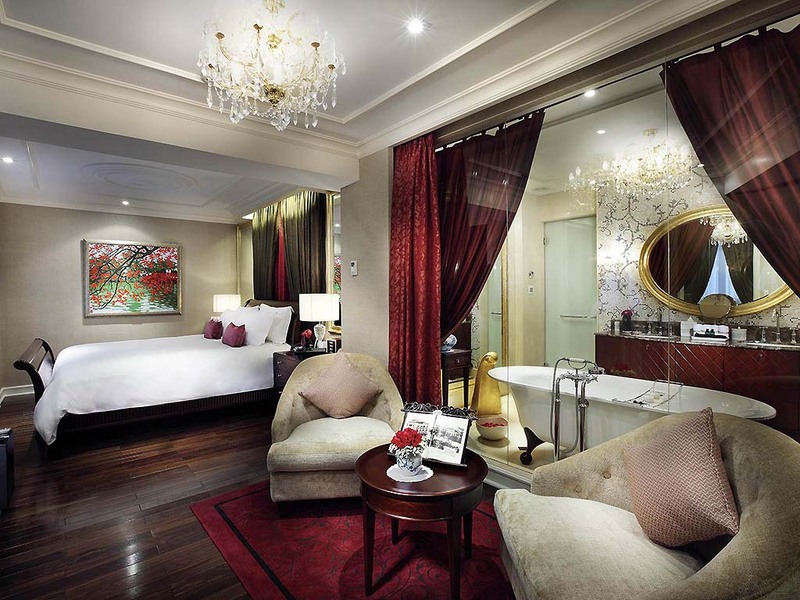 This Accor Sofitel property is not related to the Orient Express' La Residence in Siem Reap and Luang Prabang. 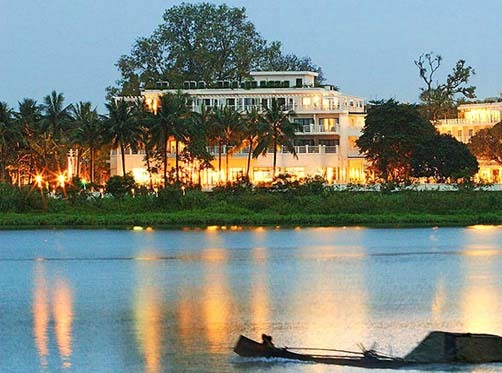 Indochina's premier beach resort and Four Season's new acquisition. During better weather, the Nam Hai and Song Saa off Southern Cambodia offer sumptuous alternatives to traveling further south to the crowded Thai islands. 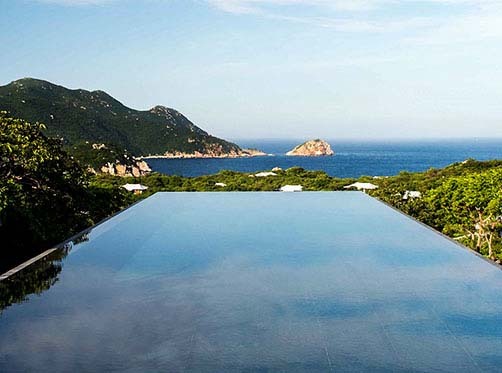 The Nam Hai's beach remains largely empty, even during the high season and massive infinity pool (one of the most dramatic resort swimming pools in the world) provides a refreshing dip. 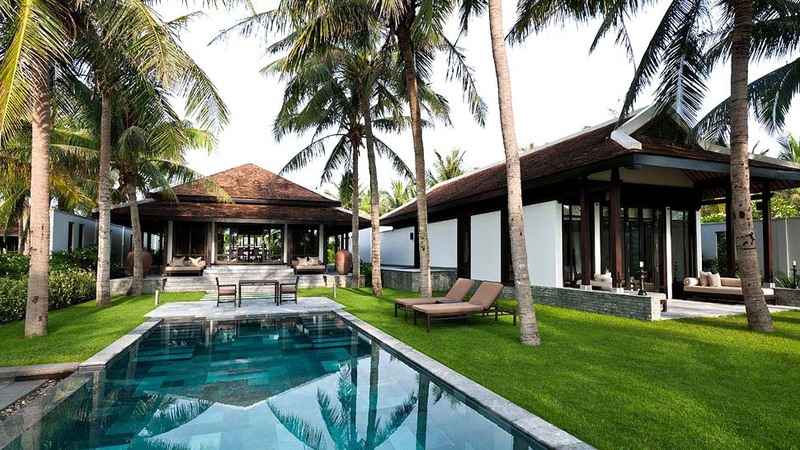 Spacious, the Nam Hai offers seclusion yet a very rare location for a resort, a mere 20 minutes away from a UNESCO World Heritage site, Hoi An, and its cultural riches. Contact us for the best time to visit and activities around the area. 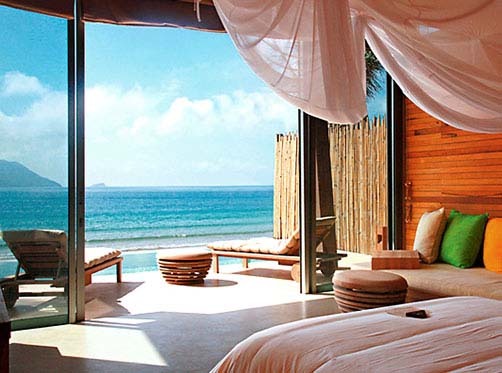 For the ultimate luxury and privacy on the southern, sunny coast of Vietnam, the Six Senses Hideaway in Ninh Van Bay is a favorite. The hideaway's various villas are built within the peninsula for maximum privacy and are only accessible by speedboat. 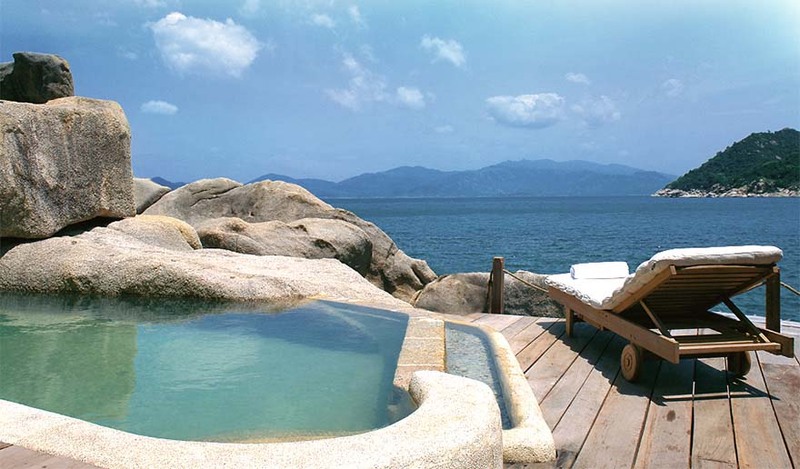 A luxury Robinson Crusoe experience not far off the coast of Nha Trang, Vietnam's premier beach destination (though keep your eye on Phu Quoc Island in the years ahead), the Six Senses is an eco-paradise features austere bungalaows with plunge pools, steps away from the ocean. All bungalows are served by a private butler and golf cart, recalling memories of Fantasy Island. Guests may navigate the shoreline and private island by foot and bicycle. Villas feature a chic castaway style with private pools, built around stunning rock formations that open to a view of the South China Sea. 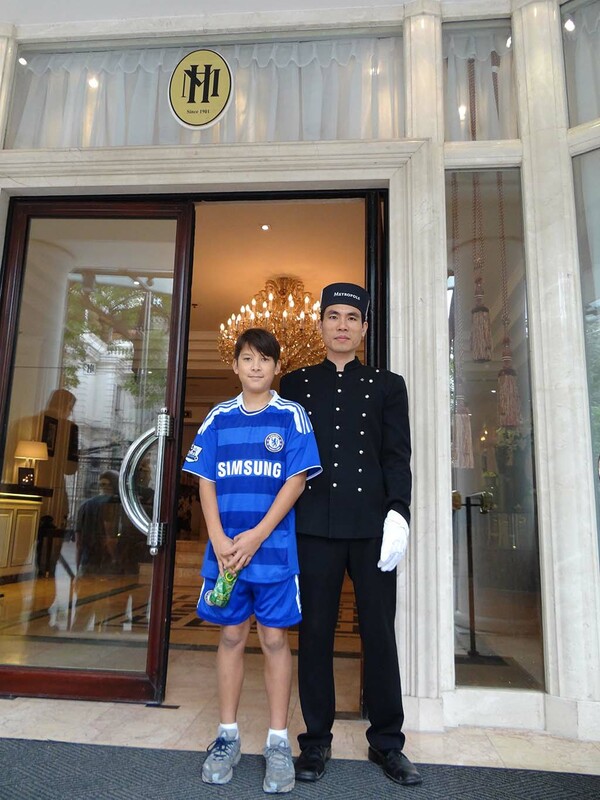 Served by a personal butler, who is on call 24-hours a day to cater to your every need. The award-winning, eco-minded resort with a coral reef right on its beach has several types of villas with the best (and priciest) one being the 271 sqaure meter Presidential Villa, wherein you have your own private bay only accessible to you for guaranteed privacy, a spacious terrace and sundeck that face the setting sun, and an infinity plunge pool set against magnificent boulders. 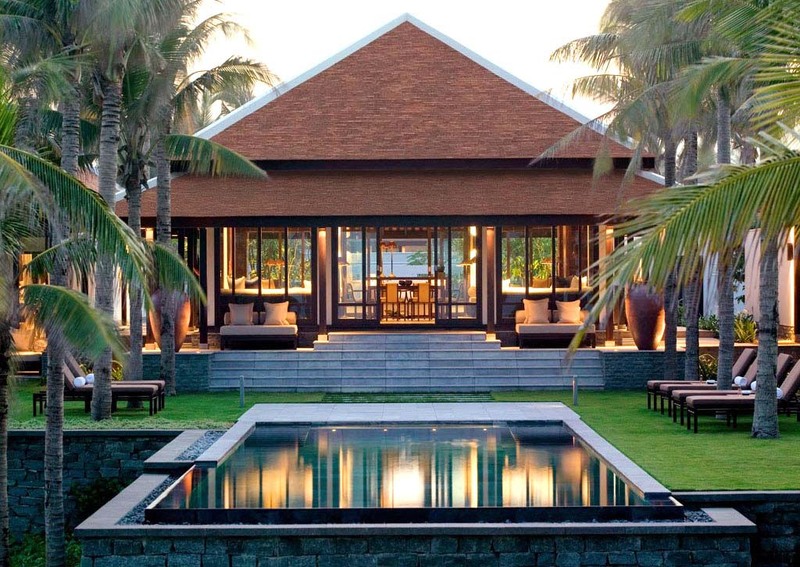 Read Indochina Travel's interview in Inspire Magazine on Nha Trang and the Six Senses Ninh Van Bay (pdf). When to visit? With beach destination stretched over 1,200 miles of coastline and islands, there are certainly optimal periods to visit Hoi An, Nha Trang, Phu Quoc and other beach destinations in Vietnam. Contact us for when and where to go. One of Asia's most remote resorts located on a largely deserted island upon a National Marine Park archipelago of 16 mostly uninhabited islets an hour's flight off the southern coast of Vietnam. Once a hellish colonial-era prison of no return, the islands now have a new lease on life as a resort destination. And for good reason, for Con Dao is blessed with tropical leaf jungle, magnificent beaches, and colorful coral reefs that offer the best diving in Vietnam. The Six Senses offers all the requisite castaway charm for an island retreat, featuring a breathtaking location upon a private white sandy beach, walled with the surrounding beautiful mountains. The secluded property prides itself for the unsurpassed sense of privacy it provides, making it a perfect place to escape to paradise. Wood-paneled eco villas, with private plunge pools, blend into their surroundings, interior design is exquisite. A sumptuous spa is situated dramtically under the Lo Voi Mountains, surrounded by a lush tropical garden. The resort features a yoga pavilion and also outdoor treatment rooms. Resort activities include stargazing (from the resort observatory), cycling, scuba-diving, cooking classes, watersports, and visiting a marine park turtle hatchery. Mid-May to late-September - Officially running from May to October, but perhaps more accurately, from late-May to early-October. There are some thirteen beaches around the islands where Green Turtles come to nest, but only one beach has night time access. Trips depart at night by speedboat to Bay Canh Island where, with your guide, you wait patiently at the Ranger Station. When a female turtle comes to nest the local rangers will guide you to the nest site where you can watch the female as she meticulously lays and covers her eggs. You can then help the rangers collect the eggs and transplant them to a nearby hatchery area. Coming into August it is common to see the hatchlings coming out of the ground and you can assist in releasing them. Mid-August to early-November - If you’re not a night person, then you can join a trip to release baby turtles from Bay Canh Island Turtle Sanctuary. Trips depart from the resort at night, by speedboat. On Bay Canh you'll be shown around the hatchery area where the life cycle of the turtles will be explained. You'll then be given an opportunity to hold the young ones before heading down to the beach and releasing them as they start their life's journey. If you are quick enough you can even go into the water and swim with them. 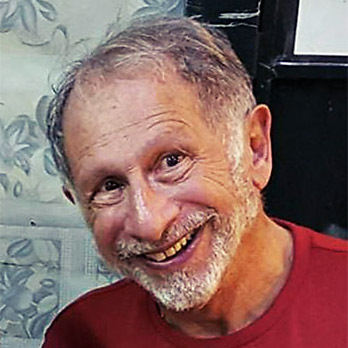 Although the warmest times of the year are typically June, July and August, with temperatures up to 99F (37C), onshore breezes make it feel cooler. March, April and May have less wind, with an average temperature around 91F (33C). Cooler times of year are from September through January, with temperatures around 82F (28C). During February to July, the waters around Con Dao are at their clearest for diving, with visibility averaging around 70 to 100 feet (20 to 30 meters). An isolated and tranquil tropical island only eight degrees from the equator with few distractions nor sites of interest. The islands are new to tourism and not relatively developed nor equipped for international guests (most other travelers head instead to the more established Phu Quoc, a similar flight distance from Ho Chi Minh City, or Hoi An when the weather is better, or further afield to the well-established Thai island resorts). On Can Dao, expect lots of sunshine, calm and quiet, though a persistent wind may pick up certain seasons and time of day. The resort has had difficulty securing experienced staff and service may be spotty (nothing that is too uncommon in Indochina). With the solitude comes a typically magnificent Six Senses spa. 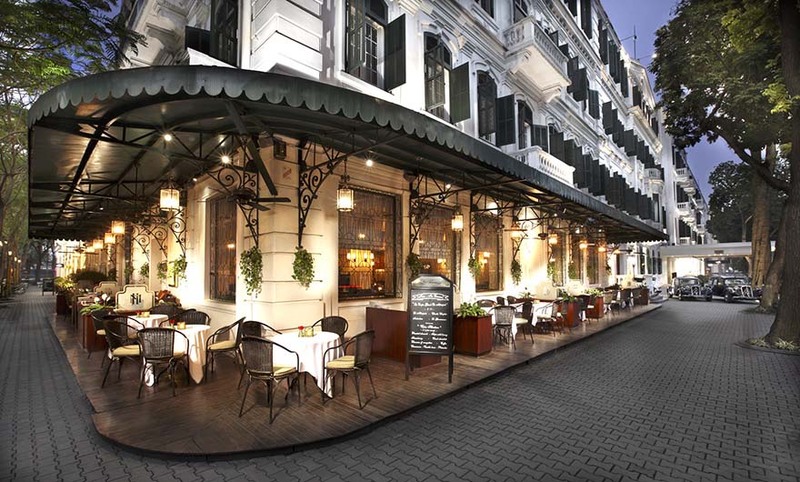 Saigon's most sophisticated property overlooks the central theater square and is within walking distance of most attractions (view our Saigon walking tour). 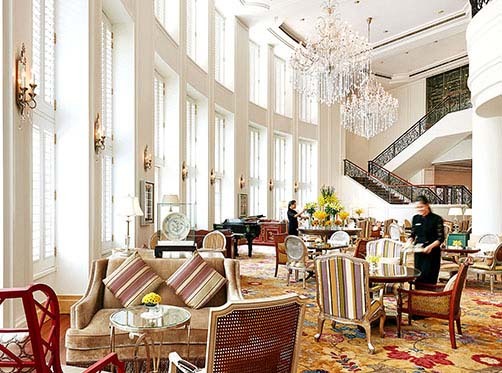 The Park Hyatt features a spacious piano lounge with evening entertainment and two of Saigon's top restaurants, including Opera, serving up superb Italian with extensive wine list. Pool villas have balconies that front the courtyard pool area and the Park Hyatt's Xuan Spa. The piano lounge is the city's most pleasant place for an afternoon or early evening drink. Rooms at the Hyatt trend to smaller and the lobby and public areas can feel crowded. Consider our other choice nearby for magnificent high-tower views from 20 floors up, which the Hyatt lacks. 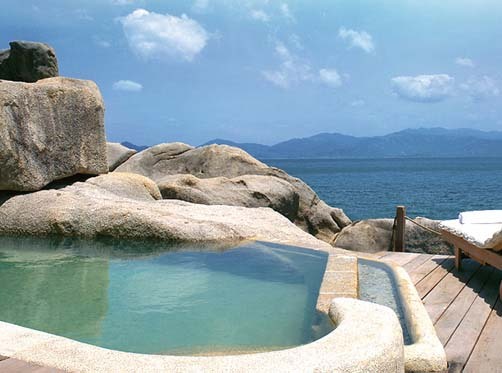 Amanoi is situated in a remote location in Nui Chua National Park in what seems like a million miles away from Vietnam's busiest beach resort destination, Nha Trang, to the north and not far from war-era Cam Ranh Bay. This remote retreat in the rugged landscape of Vietnam’s southern coast has it all: a chilled-out beach club, a serene spa and plenty of facilities for a stay as relaxing or active as guests decide to make it. Amanoi features a Zen temple-like setting among the ragged cliffs of the Nui Chua coastline. As with many other Amans, privacy is foremost with 31 open-air guest pavilions spread out over the rugged forested and undulating small hills (above). World-class architect, Jean-Michel Gathy, designed Amanoi with elements of traditional Vietnamese architecture but in the austere style of Amans, including only the essentials and the resort is marked by sharp straight lines, minimalist furniture, wood throughout, and subtle fabrics that are in striking contrast with the surrounding landscape. No Aman escape is complete without the wellness comonent and at Amanoi the offerings are comprehensive, with a spa featuring a lotus-filled lake fringed by multiple treatment suites, hydrotherapy rooms and an massive area for exercise and Pilates. The lakeside yoga pavilion hosts complimentary classes each morning, and guests can partake in immersive wellness programs led by a rotating roster of globally-renowned experts. Serious spa junkies should book themselves into one of the two Spa Houses that come with private hammams, plunge pools and dedicated therapists. Guests with energy to burn will appreciate having two swimming pools, a tennis court, private beach, and variety of water sports and activities to choose from. The best time to visit Vinh Hy Bay is between February and May. If you’re a diving enthusiast, the peak diving season in Nha Trang to the north runs between January and October. However, the very best time to enjoy clear waters and coral-rich dive sites is from April into August when rainfall is at its lowest. 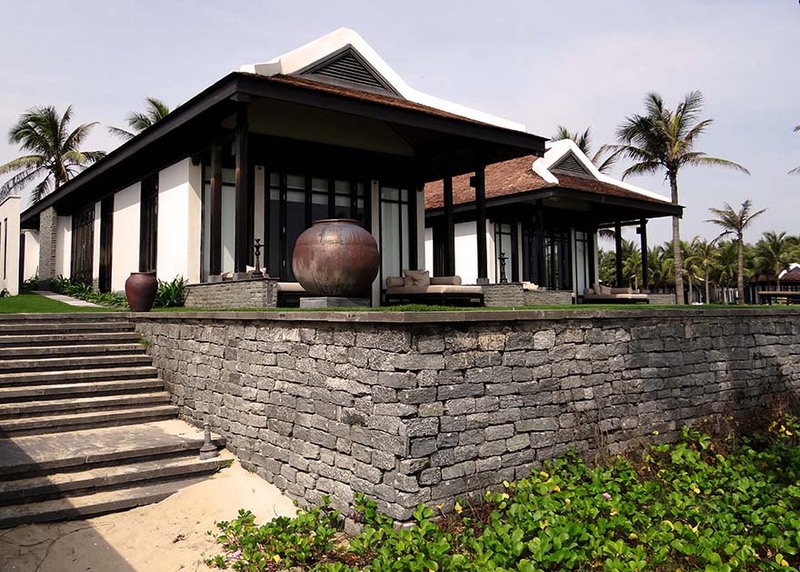 Finally, an Aman outpost in Vietnam set upon a remote and tranquil section of coastline. There is little of interest neabry, so it's all about "R&R" and the resort's spa. 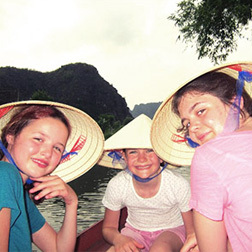 A fair amount of time to get to, so factor this into your Vietnam itinerary accordingly. 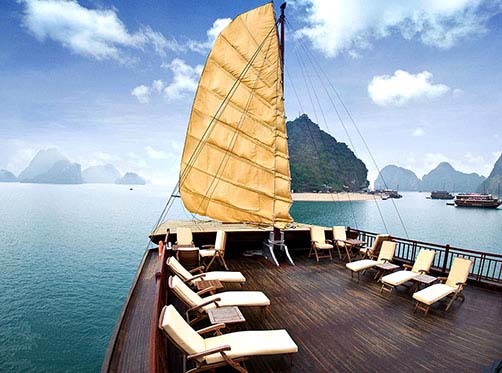 The Valentine is one of only a handful of quality, luxury "junks" plying Halong Bay. One the smallest junks on Halong Bay, it is an ideal ship for private charter with five cabins accommodating up to ten passengers. An attentive and experienced crew of six caters to your every need, while an on-board chef prepares (and will teach you how to create) some of the finest ship-board cuisine you've ever enjoyed. Luxury cabins spare no amenities or comfort. The bay is placid, calmed by the hundreds of limestone peaks and one can enjoy a full night's sleep to the fullest. Luxurious, wooden cabins feature rain showers and jet baths. Massage service can also be arranged. In addition to delicious, fresh Vietnamese, seafood, and international favorites, enjoy time with your chef learning to create Vietnamese classics like spring rolls.